Jeff is a highly sought after Family Legacy Coach and a thought leader in the areas of Stewarding your Family Legacy and Business Legacy. In addition to being a co-author of unPrepared: Heirs at Risk: 14 Elements for Successful Wealth Transfer; Jeff is also a ForbesBooks featured Author of the soon to be released book: Create a Thriving Family Legacy: How to Share your Wisdom and Wealth with Your Children and Grandchildren. He has written articles on Family Legacy for Bloomberg Businessweek, Fortune, Money & Entrepreneur Magazines. Jeff is also in the process of writing several other books including “Set your House in Order: Planning your Estate…God’s way” (the Definitive Guide to Estate Planning for Christians); Creating a Thriving Business Legacy: How to Hand off the Baton of the Business…without Killing the Goose that Lays the Golden Eggs! ; The Wisdom of Great Investors: Guidance from some of History’s Wisest Investors; and also Let’s Build a Wall: How to Protect your Assets from Creditors & Predators. Jeff is the Founder and Chairman of Stewardship Legacy Coaching and Stewardship Advisory Group. He has over 30 years of experience in helping Clients create a Thriving Family Legacy. 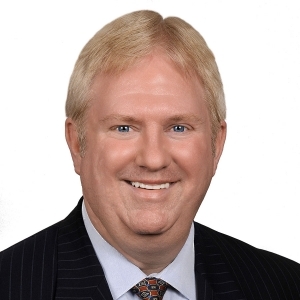 Jeff has an extensive background in Legacy Coaching and Zero Estate Tax Planning as well as Multi-Generational Heir Preparation, Asset Protection, Strategic & Tactical Tax Planning and Charitable Giving strategies. Stewardship Legacy Coaching often assists Business Owners to dramatically increase the profitability and value of their Business while preparing the next generation of business leaders & stewards in order to effectively “pass the baton”. For Business Owners planning to sell their business or transfer it to family members or key employees or to outside buyers, they also assist in the creation of business continuity, exit and succession plans while also planning to minimize the taxes on the transition and maximize the amount of wealth the business owners get to keep because, after all, it’s not how much you sell it for…it’s how much you get to keep! For many business owners, the sale or transition of their business will be the largest single financial transaction of their lives; so it must be stewarded well! Jeff also assists them in creating “Kingdom Capital™” by redirecting Tax dollars to their favorite Ministries. Jeff has been actively involved with numerous Ministries and Charities, both local and national for over 30 years. Through his career/ministry, Jeff has assisted Clients in gifting over $900 Million to Ministries such as Wycliffe Bible Translators, Focus on the Family, Crown Financial Ministries (and Howard Dayton’s new Ministry “Compass—Finances God’s Way”), World Help, Samaritan’s Purse, Compassion International, Campus Crusade for Christ, World Vision and scores of Churches and other Ministries. Jeff is a Charter Member of Kingdom Advisors and has earned the Certified Kingdom Advisor® designation. In 2013, he was honored to be the recipient of the Larry Burkett Award from Kingdom Advisors. In 2009, he was honored to be the first recipient of the Foundation Award from Kingdom Advisors for his leadership in the area of Charitable Giving. He is also a Certified Estate Planner. One of Jeff’s greatest joys is coaching individuals in thinking deeply about their Family Legacy and their potential to impact Eternity through the investment of their time, talents & treasures as well as their leadership, relationships & influence… through the lens of Biblical Stewardship and with an Eternal Perspective. Jeff and his wife Cathy live in Clermont, FL, are active in their local Church and enjoy traveling, concerts & spending time with friends. He also enjoys God’s creation while hunting or boating.